Today we rest but I climbed two surrounding peaks looking for NCELL coverage. Nothing. 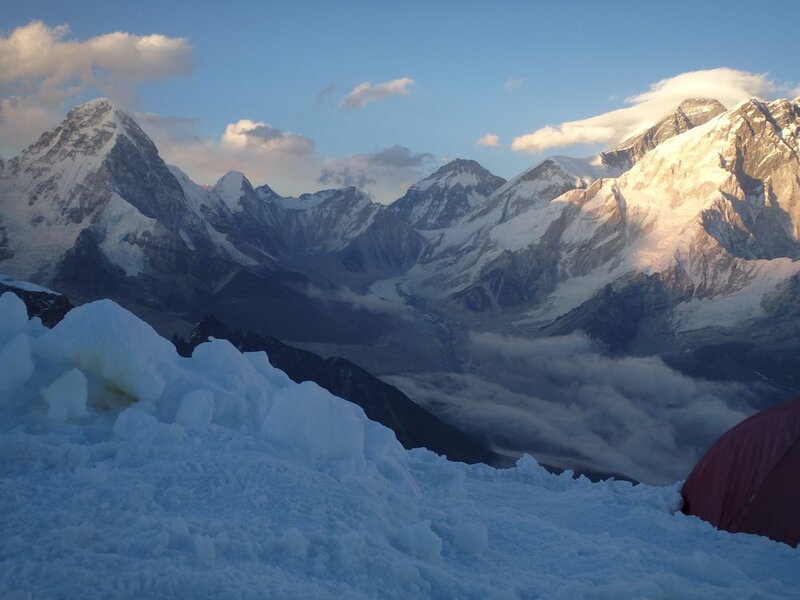 The rest of the day is spent resting and getting ready for tomorrow when we climb back up to the summit, but this time to sleep for two nights. One of the Norwegians has been climbing slow and lost some confidence in his ability to summit so the team is beginning to fracture. Annie is still under the grips of a stomach bug so hasn’t eaten much and has no energy, and this ultimately means she can’t climb tomorrow. She will have to wait a day or two to get over it and then get her strength back. It looks like she we have to join us on the summit a day later. The two Norwegians have decides to head up this afternoon and get a jump on the climb. They go to Rock Camp late today and will spend the night and then join in tomorrow am, when we climb up and pass through Rock Camp. 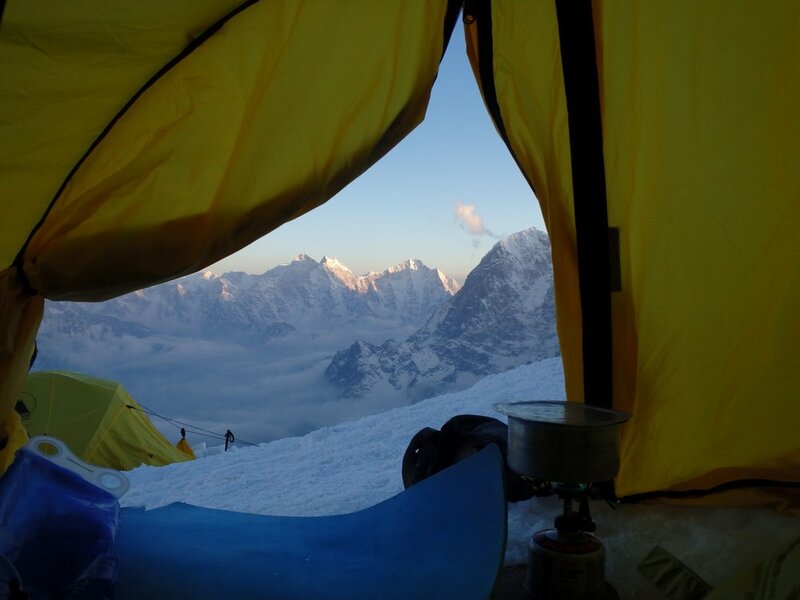 Two nights on the summit of Lobuche. Beautiful views but not much to do other than admire the views. Lots of time in the tents alone with your thoughts or if you wanted to spend the effort carrying it up, your kindle.